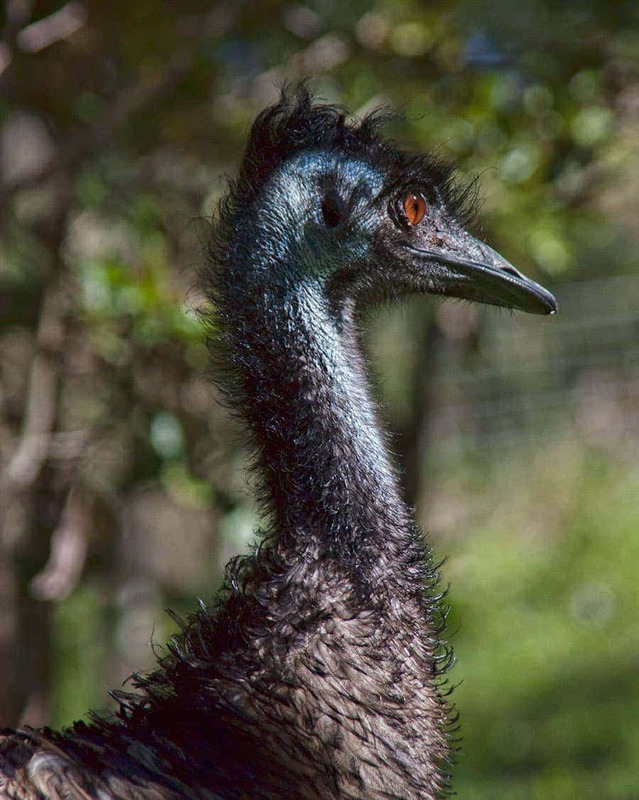 The Currumbin Wildlife Sanctuary has a huge variety of Australian birds and animals displayed in modern habitats for clear viewing & optimal animal welfare. There’s plenty here to do for the whole family, including a walk through kangaroo enclosure and the new Lost Valley experience. The Currumbin Wildlife Sanctuary was one of the first zoological parks we visited in Australia, long before we moved here. So much has evolved and developed over the years but at its heart it still very much about conservation and animal welfare. On that first visit, close to 18 years ago, we’d been told to be there at opening time so we didn’t miss the lorikeet feeding. It was a dry year and with flowerings scarce the park really was a sanctuary for these wild birds to flock in twice a day to get a feed of nectar. Of course we see these cheeky little birds daily in our Queensland garden now and keep it heavily planted in their favourite nectar trees but I still love the morning display just as much and when we have the chance to visit Currumbin I’ll always make an early start to be there for their arrival and first feed. It’s great to see the new generations visitors holding up their bowl of nectar for these colourful parrots to enjoy. If you’re in the area and aren’t able to visit the zoo, or missed the feeding and want to come back on another day, this section along with the Sanctuary Cafe is outside the entry gates so you can come in and out of here freely. These lorikeets of course are what started it all back in 1947 when Alex Grifiths, a local flower grower and bee keeper was looking to stop his crop being ravaged. Back at that time the more common course might have been to hunt or remove the birds in less environmentally desirable ways but instead he looked to work with nature and create a local attraction feeding the birds, the Currumbin Bird Park was established. 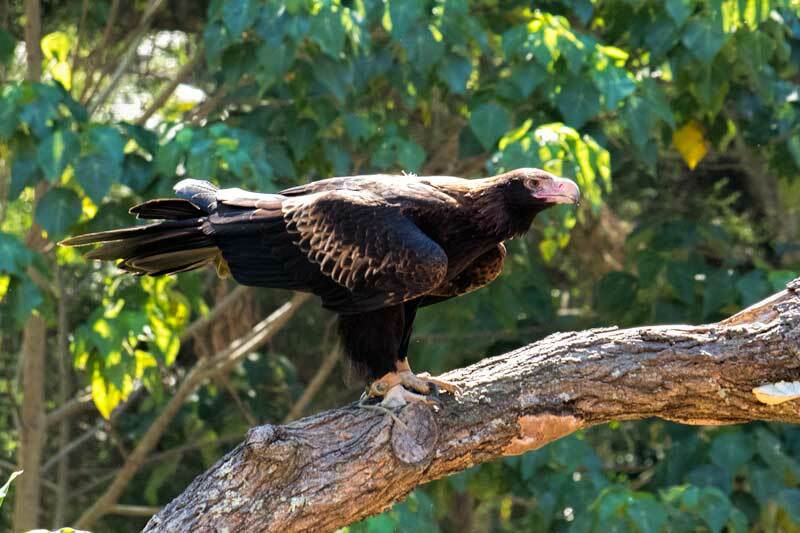 Over the years it extended to include more than birds and in 1995 the name was changed to the current Currumbin Wildlife Sanctuary to reflect its focus on our Aussie wildlife both with and without feathers. The park was donated in 1976 to the National Trust of Australia (Queensland) who now run it as part of their portfolio of cultural and national treasures around the state. 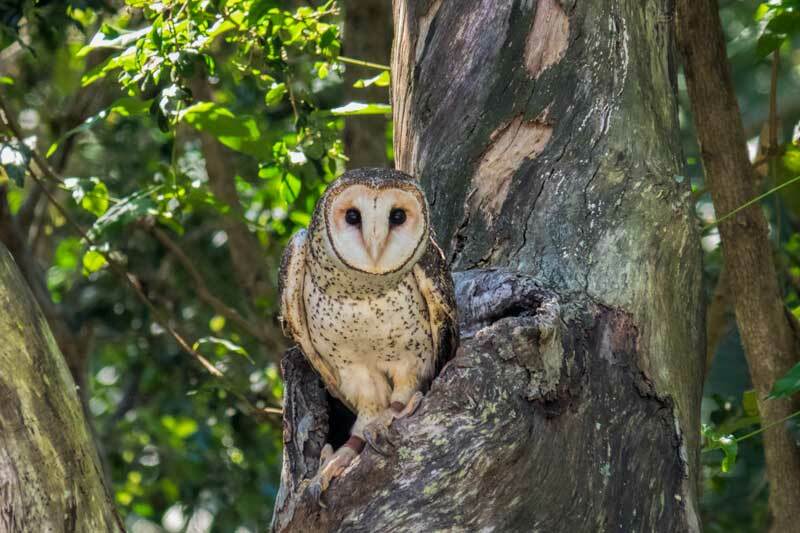 The bird show here is excellent with stars like the giant wedge-tail eagle, the heart faced barn owl, barking owl, black Kites and colourful parrots. Plus some other local ring-ins including the pelican and Australian Ibis who add some comic relief. During the show birds of prey free-fly over the crowd passing close to head height with precision and impressive speed. There’s plenty of educational tidbits and environmental information provided by the keepers to help support and protect our Australian birdlife. We highly recommend you fit one of these sessions into your day. 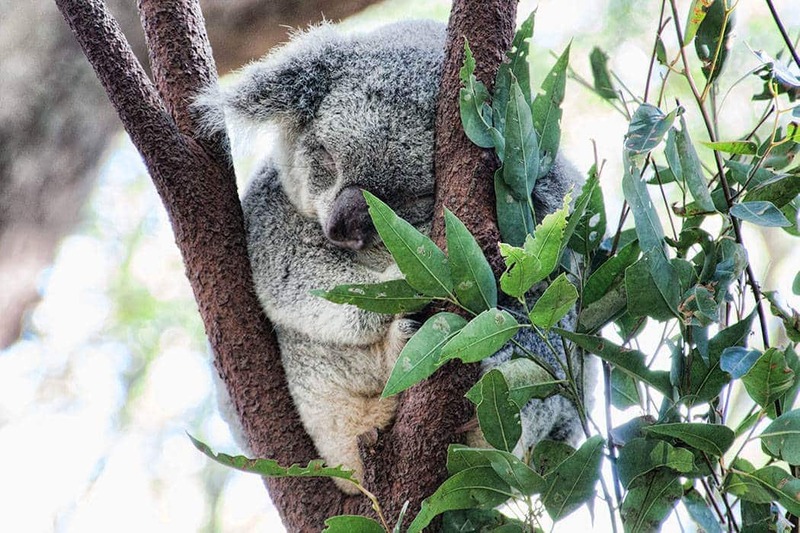 Koalas are a symbol of Australia and probably the animal most visitors think of first and want to see when they visit. In most parts of the country they are difficult to spot in the wild with any confidence as their numbers are severely dimishined by habitat reduction and when they are around they are often high in the tree and well concealed amongst the foliage. While we do spot them from time to time while out walking it’s difficult to guarantee a visitor a wild sighting so having the opportunity to observe the community at Currumbin up close makes it a great spot to take overseas visitors for their first experience with Australian wildlife. 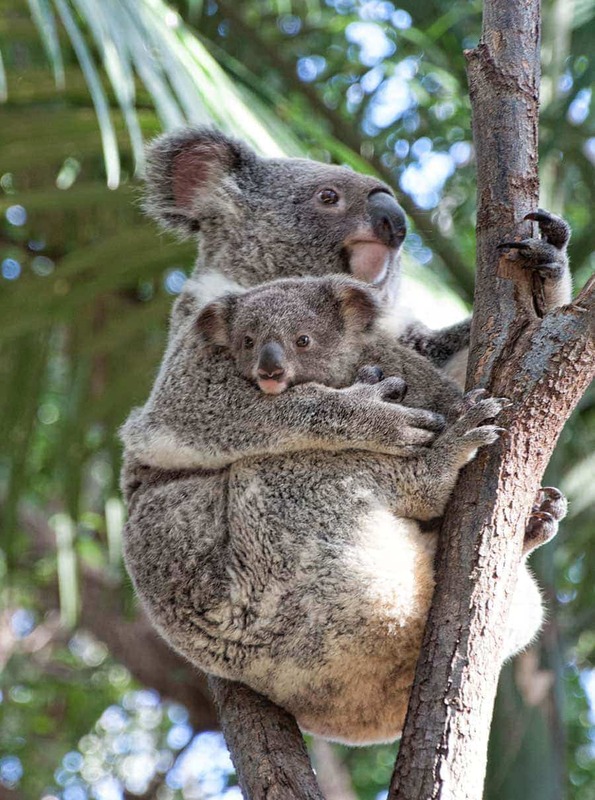 The population in the park are all bred in captivity, they are a healthy population of northern Koala. Wild animals brought into the onsite hospital are kept segregated from the zoo’s residents and once recovered will be released back to the wild as close as possible to where they were rescued, they don’t stay in the sanctuary. There are several koala enclosures as you enter through the main gates to the park but there are other’s within the park too. I like the one up the hill on the far side of the park towards the wombats and dingos the best. It’s quiet up there and you look at them from an elevated position so get a great view, they are in the natural shade of the trees which seems to make them a little more active too. 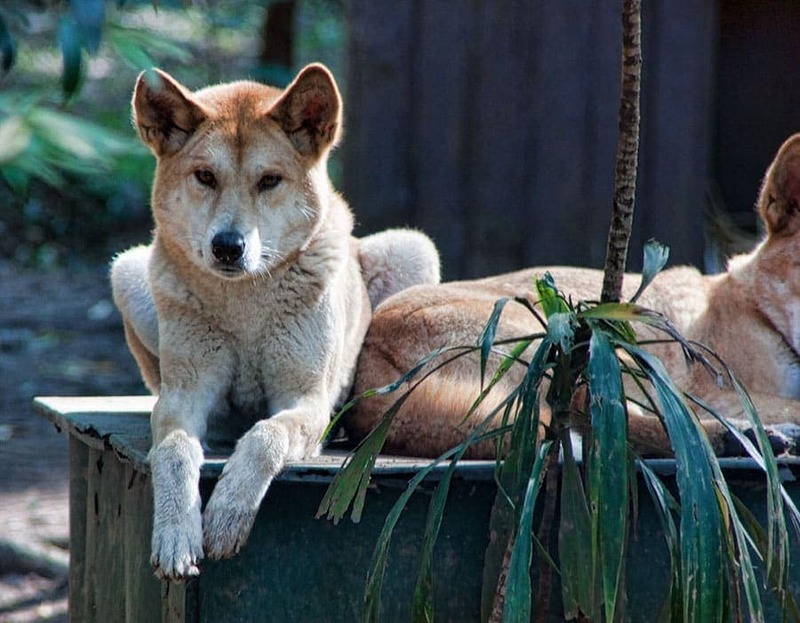 Dingos are native to Australia and can live in a wide habitat from desert to grasslands and the edge of forests. 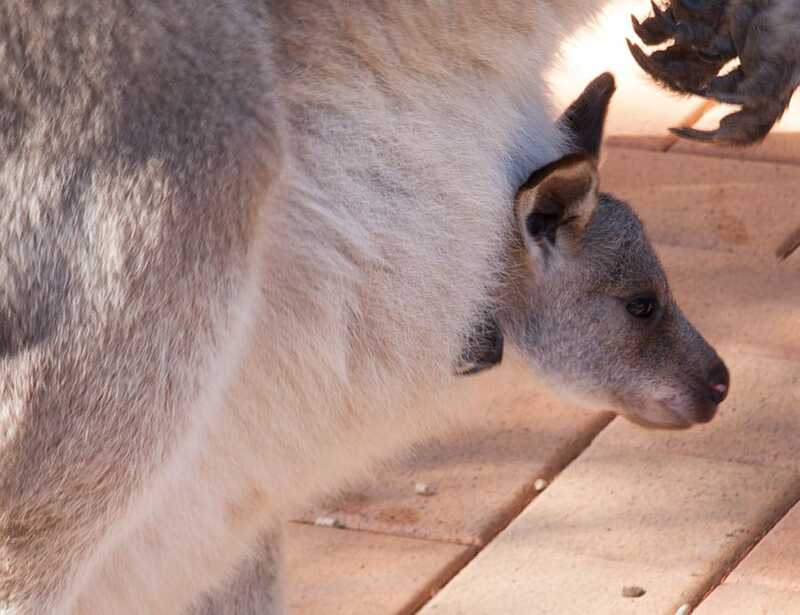 We’ve only seen them in the wild once but there are 5 living at the park in Currumbin which have all been hand-raised. As you can see they are super adorable so make sure you include them in your circuit. 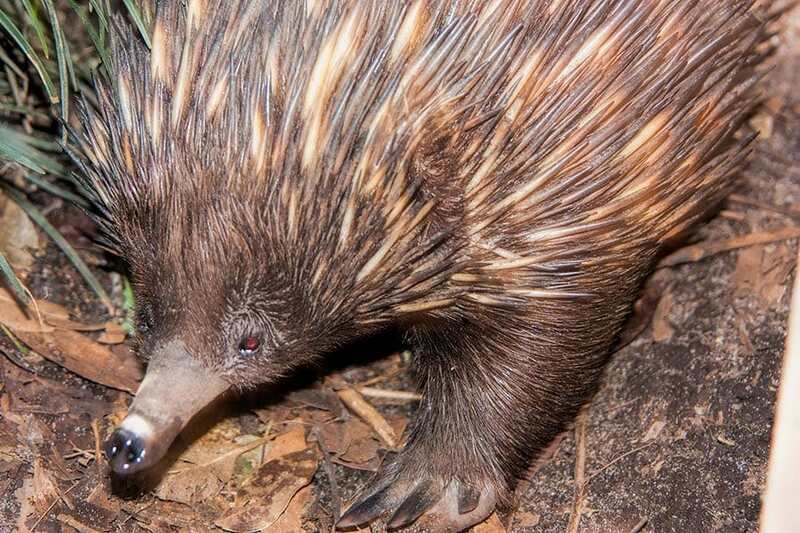 Echidnas are another favourite but are a super bashful critter in the wild which is possibly why they are still around in reasonably good numbers. These ones like to hide out amongst the grass and in the hollow logs much as they would in nature. You have a much better chance to spot them here although their constant movement when out in the open makes them still quite a trick to photograph. The wombats were hiding in the den snoozing and well covered when we stopped by this time but we have seen them out in the open previously, it’s just a matter of good timing, this photo was taken on a previous visit to CWS. The large open enclosure allows people to walk amongst these animals and it’s always popular with visitors. You can purchase a reusable cup of food from a vending machine to feed them if you want to. While they are largely sedentary during the day, seeking out the shade of trees, you will regularly see kangaroos with joey in their pouch and are able to walk very close to them and take photos with them. CWS has an excellent Tasmanian Devil enclosure and is heavily involved with the conservation programme for these little cuties. 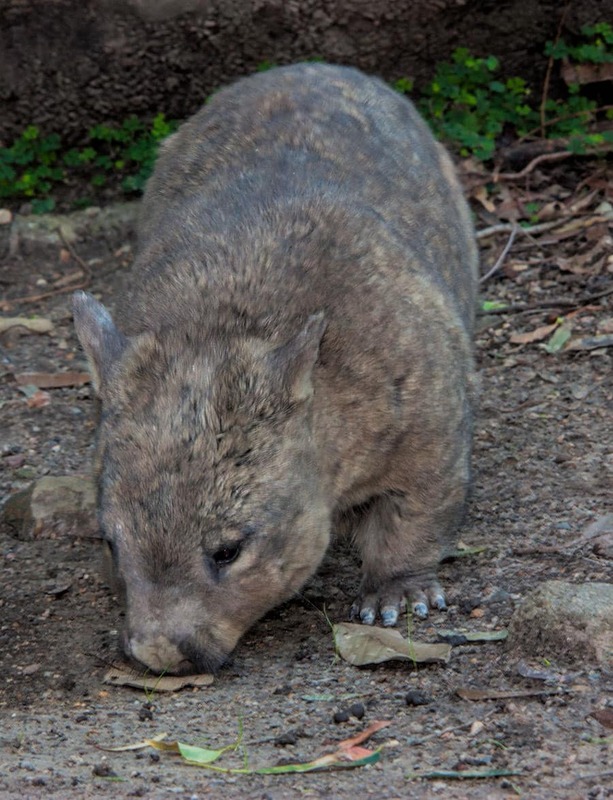 They are only found in Tasmania today and sadly in recent years they have become prone to a facial tumour disease (DFTD) which is passed between them from infected bites. In some areas numbers have been reduced by as much as 90% putting at risk the wild survival of the species. 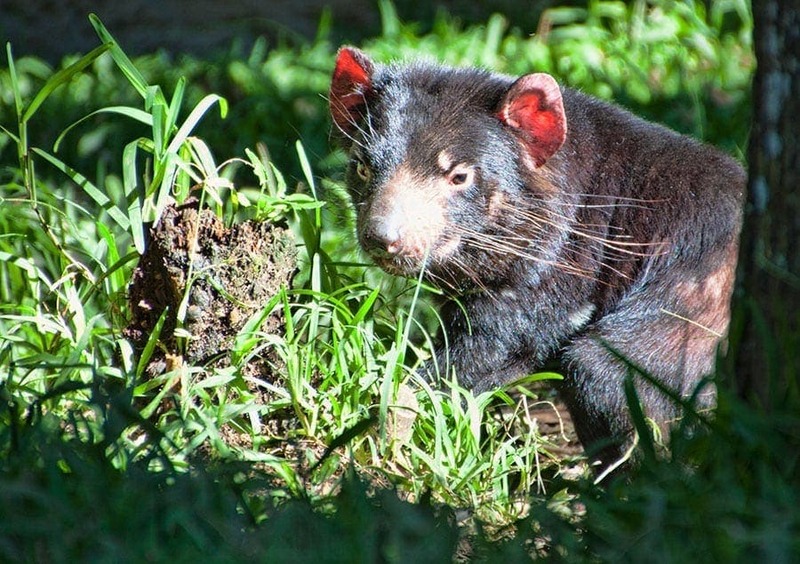 A number of sanctuaries including Currumbin have formed a network of disease free Devils and are undertaking a program to create a population of devils that they hope may one day be released back into the wild. There’s a whole of range of interactive experiences that are available as add-on activities during your day. We joined the 3.15 pm Koala experience and met up with Kylie who heads up the Koala Experience at CWS. Kylie is the perfect guide, she answered all our questions as we stand just feet away from these fascinating animals within the female koala enclosure. All the koalas in the sanctuary were born and raised in the park so they are very familiar with humans in close proximity. Kylie runs a strict roster to ensure no animal ‘works’ for more than 30 minutes in any one day so as not to impact their sleep pattern and they aren’t in the rotation every day. They really don’t seem to notice that we’re there but Kylie is careful to ensure that everyone understands that they aren’t to be touched in here, only the keepers do that, this is their home and they need to always feel safe in this space. After we’ve taken a good look around, asked our questions, taken all the photos we want and been introduced to each Koala in the enclosure we head back out to the photography area. Jamie, a one year old male koala is selected to come and meet us. He’s adorable and it’s a great opportunity to see him up close. The group gets a chance to individually touch him, his fur at this young age is still quite soft but will coarsen up over time. He also doesn’t have the musky pheromone smell of the older males, still being quite young he’s not trying to attract the females yet. We then each get set up holding Jamie for our professional photo but also get a bit of extra time so we can take photos on our own camera. All up the session lasts about 30 minutes and we collect our photos at the shop as we leave the park so we don’t have to carry them around with us for the rest of the day. At some point in your day you are likely to want to eat and drink. There are a range of options to purchase food around the park and you’re also able to bring drinks and food items in with you. You’ll pass the Sanctuary Cafe as you enter, then Wild Burgers is on the other side near Wild Island which is the childrens play area and where the pelican feeding is held. Then over-looking the free range kangaroo and emu area is Base Camp Cafe with Aussie favourites like pies, sausage rolls and ice-cream. Make sure you get stamped when you arrive, you are then able to enter and exit as you want throughout the day. If you prefer to head out for lunch, Currumbin Beach is only a few minutes away for a picnic and cooling swim in the middle of the day – just don’t wash off your stamp. If you’re leaving the carpark check with them first on re-entry arrangements. 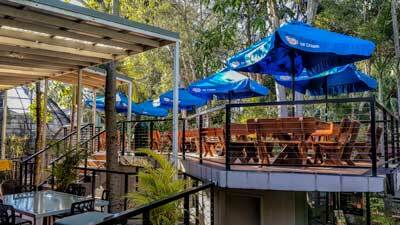 On this trip we choose the Sanctury Cafe adjacent to the lorikeet feeding area. 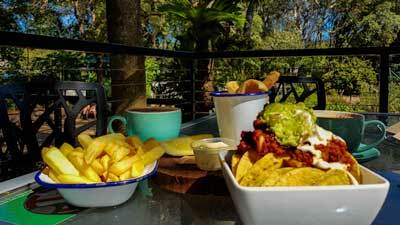 It has plenty of shady seating and a variety of cafe staples from wraps and quiche to nachos, burgers and salt & pepper calamari. As someone with medical issues that cause dietary intolerances I was pleased to see that lactose and gluten free were available, very often at tourist attractions and theme parks I’ve found that’s not the case and I do like my mid morning cuppa. 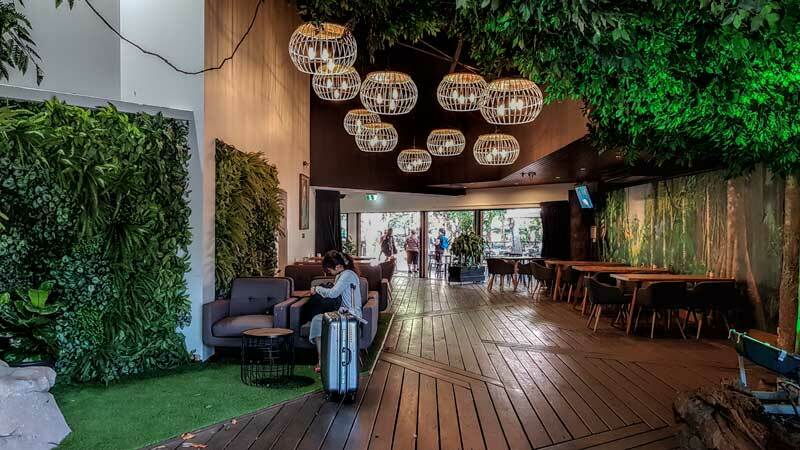 The cafe has an attractive area to sit out on several layers of deck or if it’s a particularly hot day there’s a cool leafy area inside. 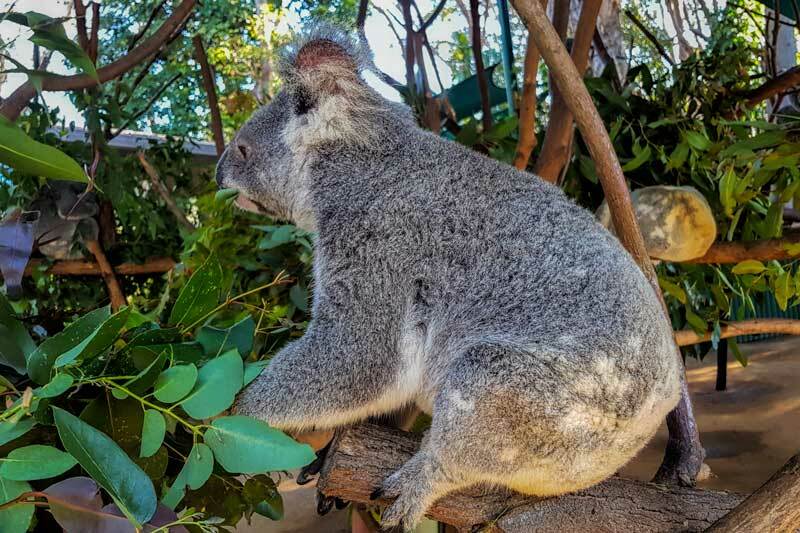 Now we’re living in South East Queensland the Currumbin Wildlife Sanctuary is somewhere we’ve continued to return to regularly and it’s a great spot to take overseas visitors to for their first experience with Australian wildlife. We love to visit zoos and wildlife parks when we travel (or for a day out closer to home). Many of them, including CWS, do excellent work with our native wildlife both in conservation and with their hospital and rehabilitation facilities for injured animals and birds. Currumbin is one of our favourite parks in Queensland to get up close to a good quantity and variety of native Australian animals. Their focus is exclusively Australian wildlife and all their resources go into that, the display areas are open and use modern separation so you can look across or down on the animals rather than through bars. This must be a better environment for the animals too with the security of seperation but with large natural spaces to move around in. If you want to see the animals up close and learn a bit more about them the feeding and shows throughout the day are worth going along to. The staff are extremely knowledgable and the volunteers positioned around the park are always willing to lend a hand and point you in the right direction. There’s also a fully operational animal hospital onsite and for a small additional fee you can get a tour through there too. With up to 10,000 animals treated here every year it’s one of the ways you can help fund their ongoing work. Personally we’re not a fan of the segways and treetop climing course in the environment but understand that it brings in a new generation of visitors looking for a broader experience and it raises essential funds to support other work and animal welfare. These activities are isolated to small sections of the park and we haven’t found they interfere with our experience. Overall we rate the park very highly and would suggest it makes the list of things to do for any first time visitors to the Gold Coast. The park is open every day from 8am until 5pm (except Christmas and Anzac Day). Tickets can be purchased at the gate and there are a variety of animal photograph opportunities and educational experiences that you can add on if you choose. Tickets can also be purchased through the CWS official website. Tickets can also be pre-purchased as part of a tour and reputable online ticket sellers are another option as you can sometimes get good discounts that way. Another option for locals, or those with a more extensive Australian travel itinerary is to take National Trust membership for the year at $65 for adults. This includes multiple visit access to all the National Trust properties and comes with other bonuses such as free parking and discounts. Currumbin is a beach at the southern end of the Gold Coast, the park can be easily accessed by vehicle from the Gold Coast highway. Tours and Shuttle services are available or locate public transport options to this stop from all around the Gold Coast on the Translink website. If you drive to the park there’s only a limited amount of free parking in the immediate area but there is a large public carpark opposite. Parking is charged at a flat rate of $10 for the day which goes to support the efforts of the Currumbin Wildlife Hospital. If you are a member of the National Trust you can show your membership to receive free parking. If you found this post helpful please save it to Pinterest or share on social media using the buttons below. On this 2017 visit we were guests of the National Trust of Australia (Queensland) however we’ve paid to visit a number of times previously and will definitely return. Look at those lori’s! Fabulous pictures Toni. I would love this place because I enjoy being around animals so much. I like how the park covers the wide array of wildlife in Australia. You have so many species present only on Oz; 1 of a kind creatures. They are all gorgeous! 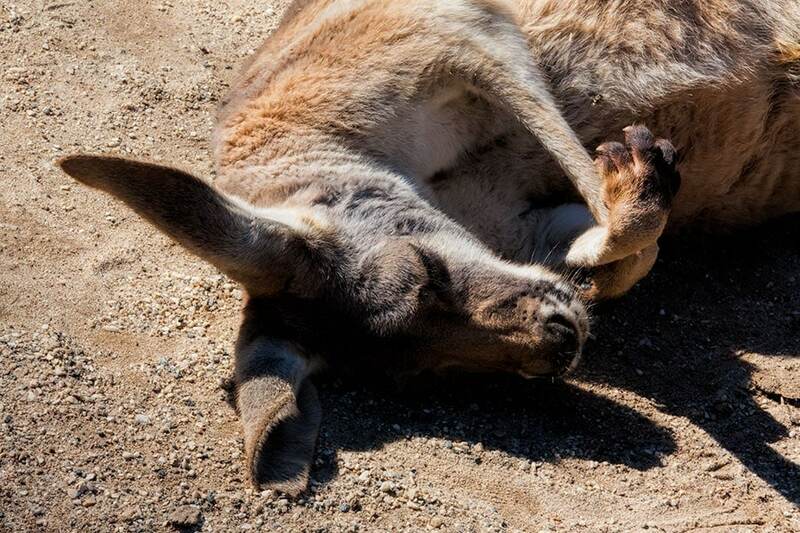 I have fond memories of Currumbin Wildlife Sanctuary from when I was a child on a family road trip to Cairns. That looks like a fantastic place! Thank you for taking so many wonderful photos. What is local for you, is very exotic for a lot of us. I’d love to go to Australia some day, but I’m not sure it will ever happen. Maybe… Some day… Until then at least I have your blog to read.